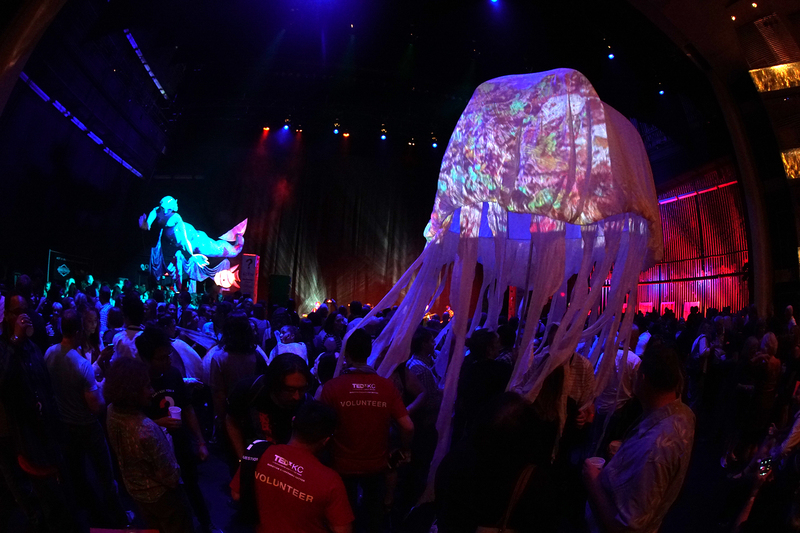 Plastic PSA and underwater projection on a giant Jellyfish at the recent TEDx event. For The Sea had the pleasure of collaborating with Stonelion Puppets Theater to bring awareness of the effects of plastic pollution through art. The event took place on August 19th 2016. I prepared a short PSA about trash in the ocean that was projected in a loop while the 2,400 guests were coming in to take their seat at the Kauffman Center for the Performing Arts. 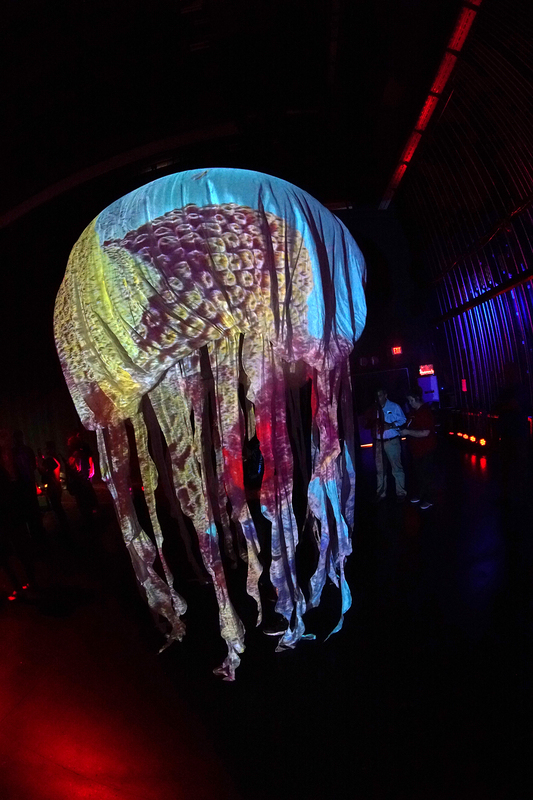 In Act III, while the concert is going on, the Stonelion’s giant Jellyfish, six feet across, was lit by live projection of my underwater footage to create a spectacle while traveling in the audience.